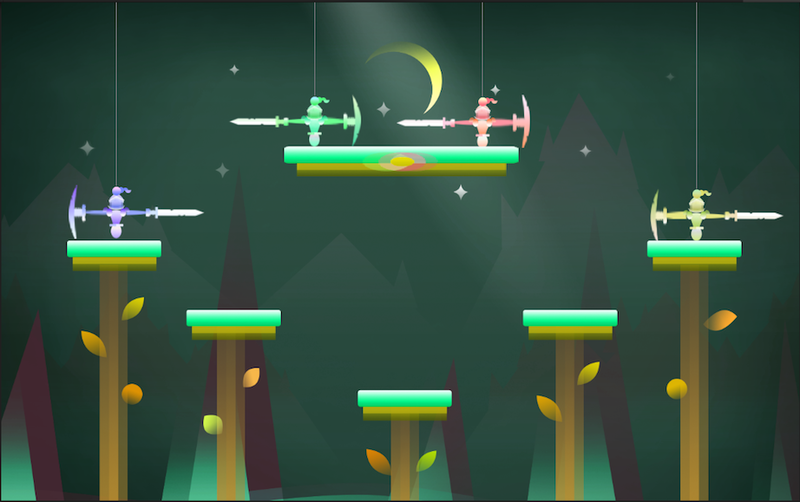 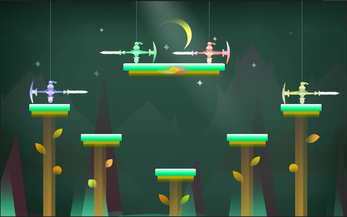 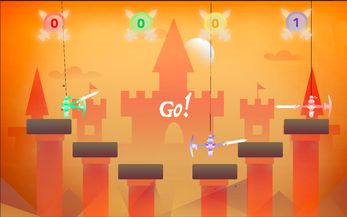 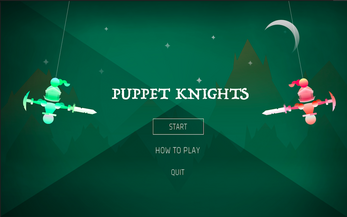 Puppet Knights is a local multiplayer arena action game pitting up to 4 marionettes against each other. Players control each marionette's arm independently, leading to clumsy and unpredictable showdowns as they soar across various environments. 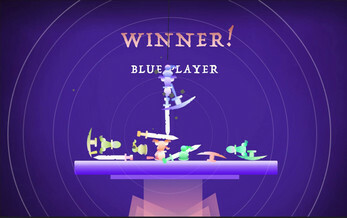 The first player who can land 5 kills is the winner! 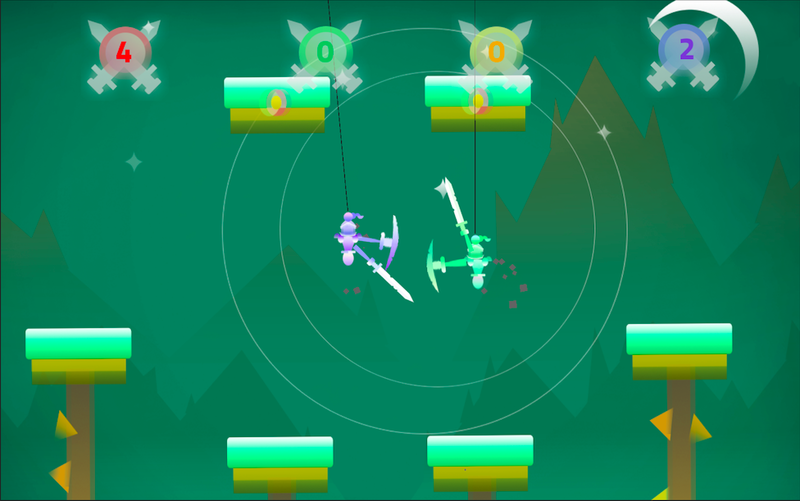 NB: The game is a work in progress, so players might run into some bugs. 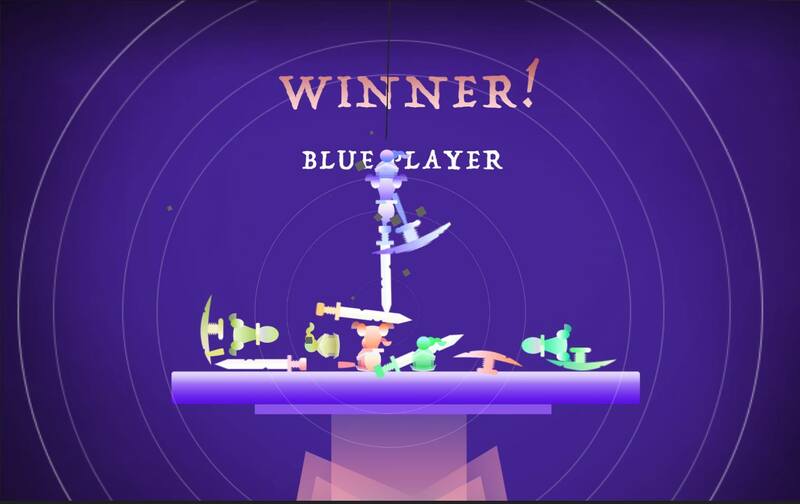 Make sure controllers aren't getting disconnected, and if the game doesn't load new levels, pause the game with Square and restart. 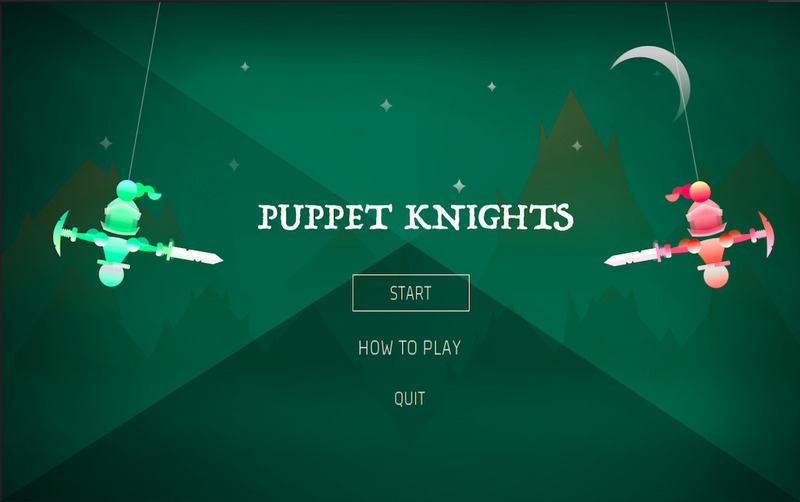 The game requires PS4 controllers.